This week I’ve been working on some illustrations for the upcoming “RiverKings Art for Autism” auction at their “Assists for Autism” reception. 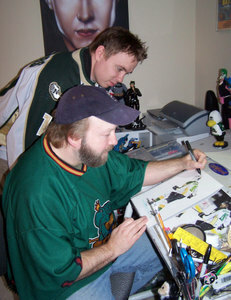 On Monday Mississippi Riverkings’ forward Matt Summers (the 2010-2011 “Assists for Autism” spokesperson) stopped by the bat-cave (my studio) to check out the progress of the art. I’m doing 20 9″x12′ marker illustrations of each of the players and mascots for their autism charity auction. 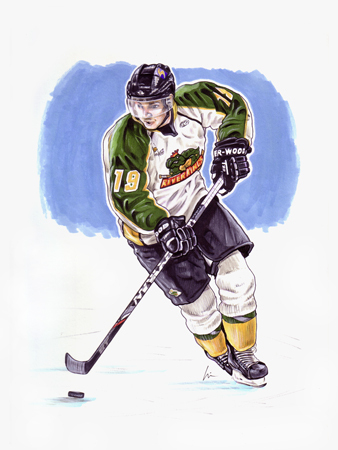 Fans can bid on the art at RiverKings home games through Saturday, March 19– which will be the 2nd annual “RiverKings Art for Autism” reception, 5:30 p.m. at the DeSoto Civic Center in Southaven, MS. Reception tickets are $25 and include admission to the silent auction, food, and a game ticket for that evening’s 7:05 p.m game against the Texas Brahmas. “Art for Autism” allows approximately 40 local kids with autism the opportunity to creatively express themselves through different art mediums. For more info check out the Riverkings news page. Keep an eye out center ice for a video of me drawing the players shown up on the scoreboard during upcoming Riverkings home games. Also be sure to check out the upcoming autism art exhibit at the DeSoto Art Council’s art house in Hernando, MS in April. Nicki and I hope to see you there! 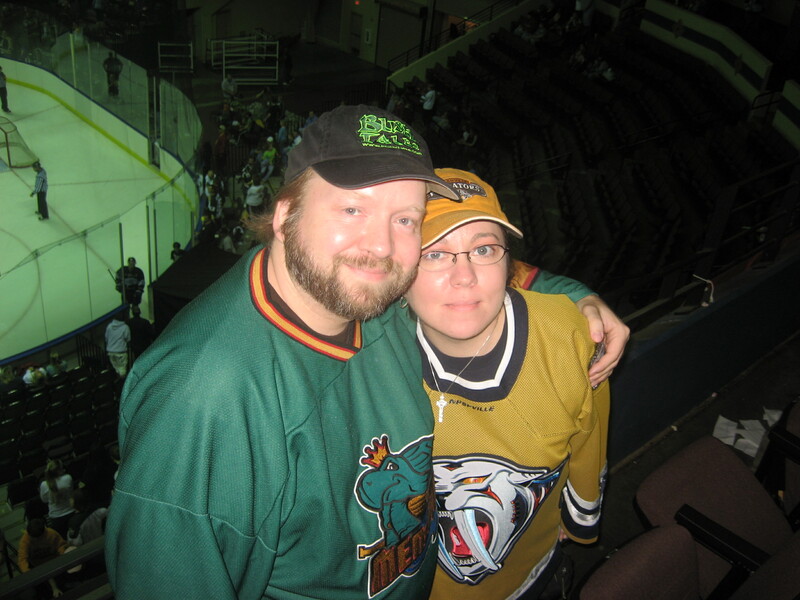 Down To The Wire, Last Chance To Score RiverKings Collectors Piece! There are eight of these action portraits left starting at just $40 each. 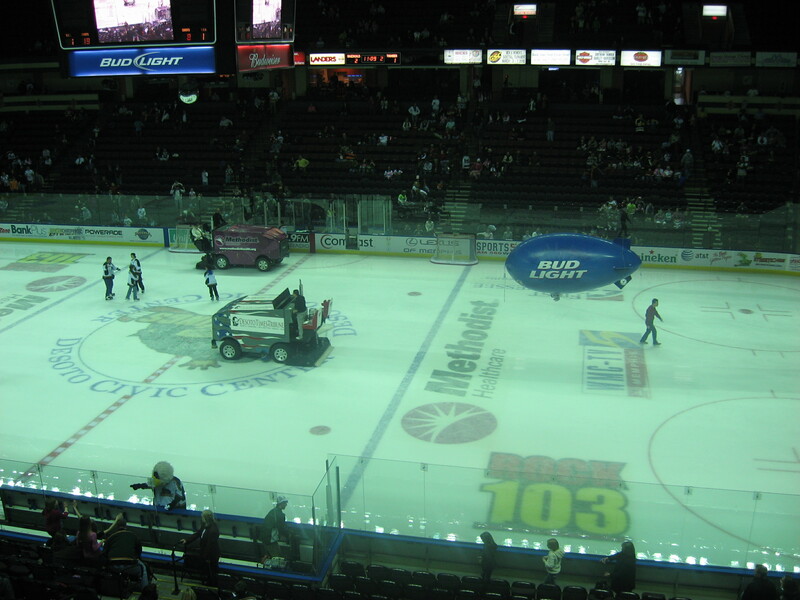 Bidding ends the end of the second period this Friday, March 25th at the R.K.W.A.C. table on the concourse at Section 118. Proceeds will benefit Assists for Autism, the team’s assists-for-charity pledge program dedicated to helping children with autism and their families. For more information on the art or on Assists for Autism, call Sylvia Petty or Whitley Rives at the RiverKings office, 662.342.1755.